Hospital Gives Touching “Honor Walk” To Baby Girl Whose Organs Saved 3 Children. Every parent’s worst nightmare is that they’ll outlive their children. 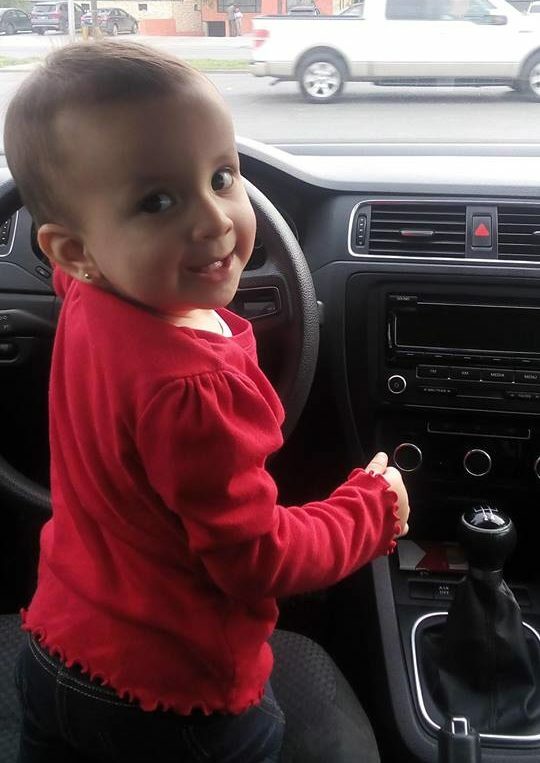 Alondra Torres Arias was only 1 year old when her parents had to face that devastating reality. The little girl recently succumbed to pneumonia in early January, when doctors declared she’d suffered brain death. 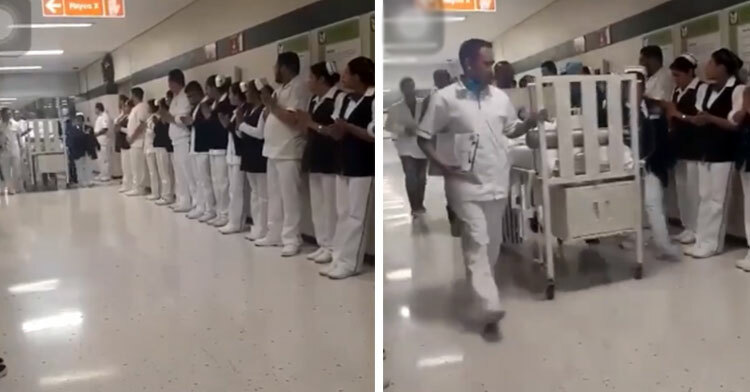 But their sweet tribute to the beautiful baby made all the difference. After saying a gut-wrenching goodbye to their baby girl, Jenni Barraza and her husband made the selfless decision to donate their daughter’s kidneys and liver. Alondra passed away in a hospital in Monterrey, Nuevo Leon, Mexico, and ultimately saved three children’s lives. “I talked to her and kissed her until the last minute,” Jenni said. 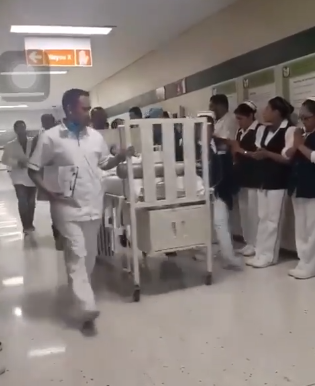 In touching footage shot on the day Alondra passed, doctors and other medical staff can be seen lining the hospital corridor, forming a guard of honor and holding their hands in prayer as the toddler is wheeled to the operating theater. After the video appeared online, Alondra’s family received an outpouring of support from thousands thanking them for their incredible donation and lamenting the little girl’s death. “God bless you always and help you relieve your pain,” one viewer wrote. Rest in peace, sweet Alondra. Your life was too short, but your parents — and the children you helped — will never forget the impact you made on so many lives. 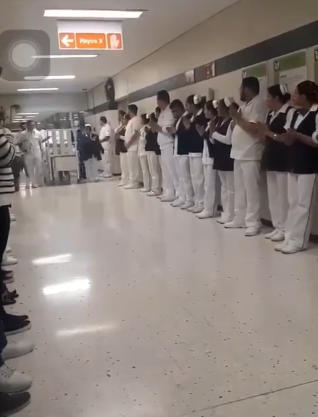 Watch as hospital staff honor Alondra in the clip below and share to celebrate her amazing gift.